The old guard of Nintendo hardware has passed the torch to a new generation. What would you say are the best selling Nintendo products ever? If you'd had said the NES and the GameBoy, you'd have been right, a couple of months ago, but Nintendo has released new lifetime sales figured for its consoles, which show that the Wii and the DS are now the top dogs of Nintendo hardware. The NES sold nearly 62 million units and the GameBoy sold over 118 million units, but as of December 2009 the Wii had sold over 67 million, becoming Nintendo's best selling home console, and the DS has sold more than 125 million, making it the best selling item that Nintendo has ever sold. 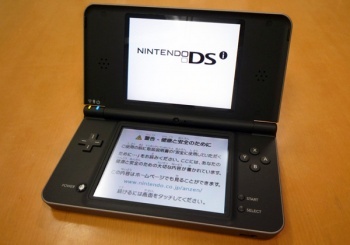 It's worth noting that the 'DS' includes the DS Phat, Lite, DSi and the new DSi LL/XL, but by the same token, 'GameBoy' includes the original, pocket and color, but whether or not it includes the GBA and it's various offshoots is unclear. In the presentation where the sales figures were announced, Nintendo president Satoru Iwata said "Needless to say, these are just two milestones of a larger journey in our efforts to reach the ultimate goal of bringing one home console for every household and one handheld for everyone."